Happy Friday Stampers, and a Happy Birthday to my awesome and amazing friend Justin! This is the card I made for him, which I was fortunate enough to be able to hand deliver. I thought I'd share it with you today and encourage you to visit his blog and send some birthday wishes his way! You can visit his blog, JKCards, by clicking here. 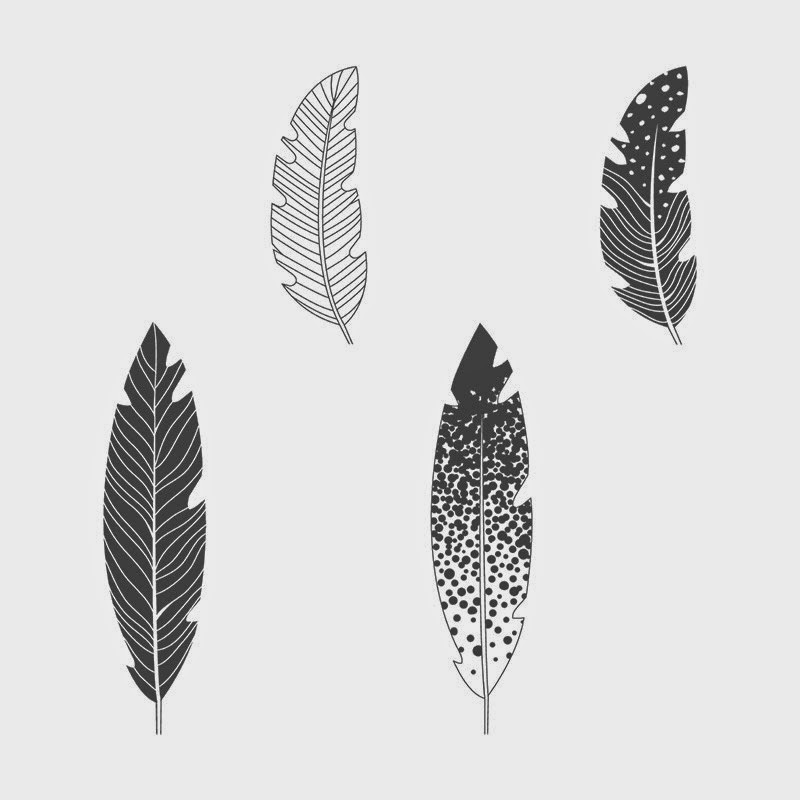 I know some of his favorite images are feathers (check out his blog header) so I had to include a few in my card, from my brand new Four Feathers Stamp Set. This sketch by Julee Tilman at Mojo Monday was perfect for my feathery creation! I love any stamp set that comes with coordinating Framelits, and this combo is so reasonably priced that I kick myself for not purchasing it sooner! The gray feather was heat embossed with Silver Embossing Powder on Basic Gray card stock. 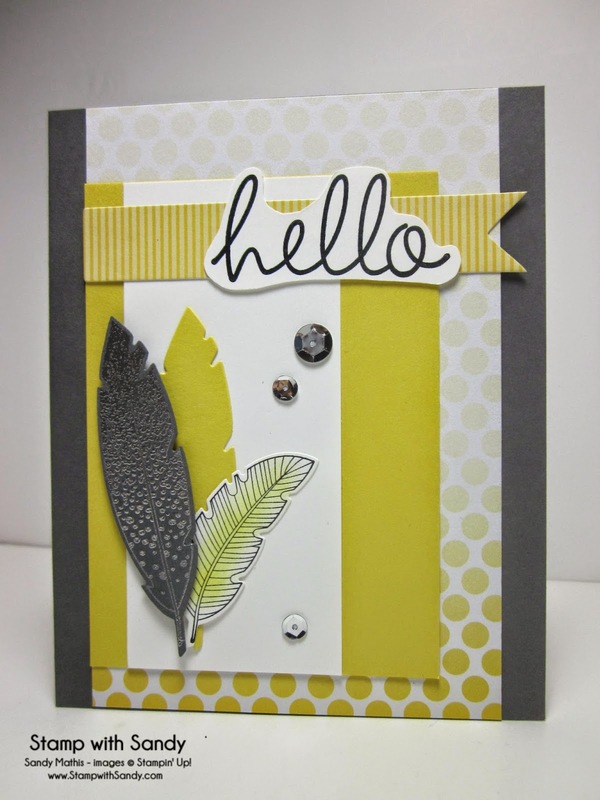 Large yellow feather was die cut only. 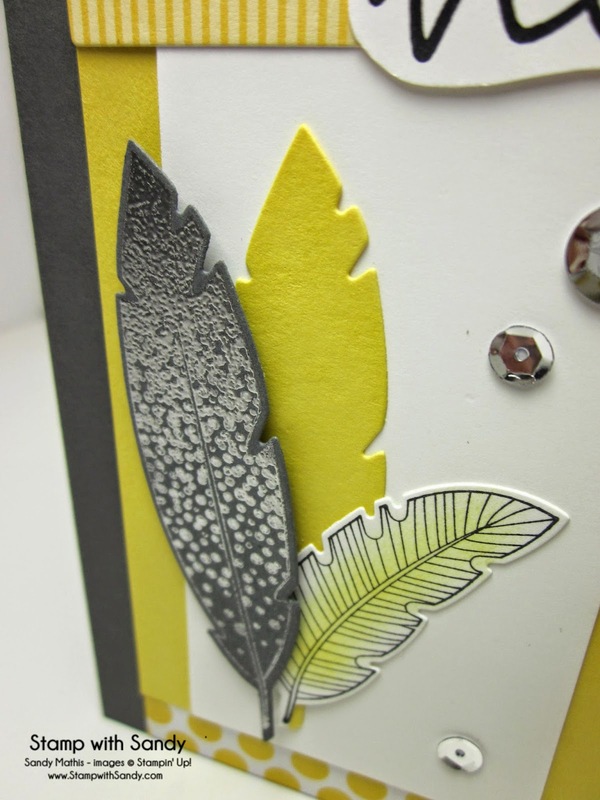 Smallest feather was stamped with Black Stazon ink and then sponged lightly with Daffodil Delight ink.